My friend R. will celebrate two milestones in the same month: an increasingly-welcome (now that she's absorbed the shock) job loss and her 60th birthday. She's feeling relief, sadness, excitement... and she's ready for a change. Time to mark these milestones with new pearls! She'll be replacing a 5-6mm strand given years ago. (Note to men: Thinking of giving bitsy pearls in a status-brand box? She is not going to wear the box.) Did you know that for every 2mm of size increase, the size nearly doubles visually? She has a budget–"$1000 tops"- and wants white, but beyond that said, "surprise me". My mission: find appealing pearls that will not jeopardize her mortgage payment. R.'s a blonde beauty with dazzling turquoise eyes. Fine-boned and slender, she's likely to wear the new pearls to her golf club and the office. Her style is "lady": elegant tailored jackets, heels with everything and an immaculate manicure. 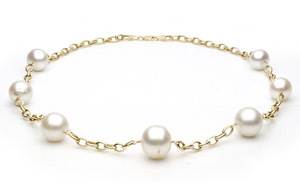 A double-strand white akoya bracelet with 14k clasp is R., and so versatile. I'd spring for the AAA quality so these 7 to 7.5 mm gems glow gloriously; price, $658 from Pearl Paradise. R. vows her next job will entail less stress. 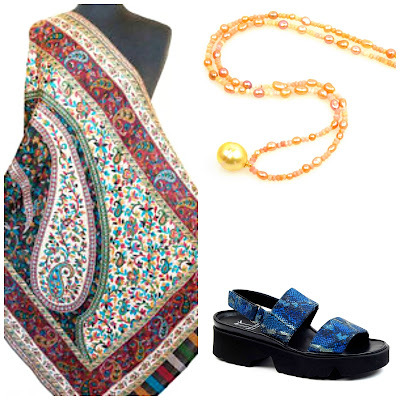 Perhaps slightly casual pearls to match her lighter mood? 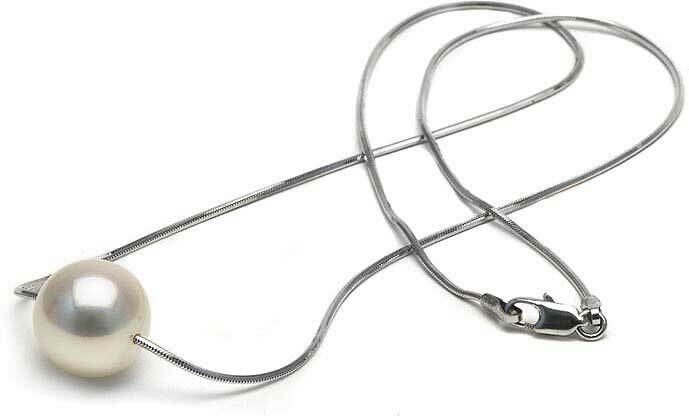 This rope of lustrous freshwater 9mm off-round and 14mm coins is accented with gold rondels near the coins and, at 42 inches, will wrap several times around her neck. Price, $317 from Catherine Cardellini. 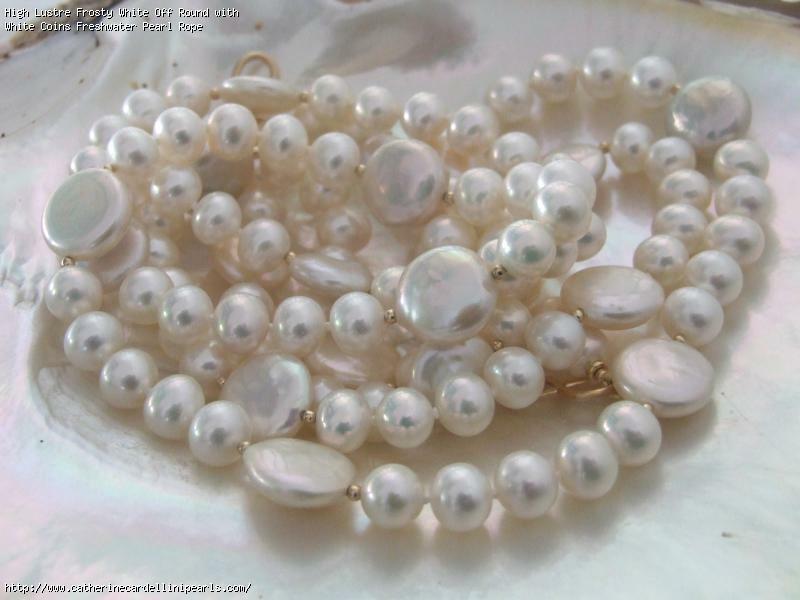 A lso from Catherine Cardellini, in her Specials section, I found this 19-inch strand of large (10 to 11mm) white oval freshwater pearls strung on white silk and knotted. Yum. For only a few clams more than the price of soulless, shiny fakes (that's you, Talbot's), she could wear these charmers and have money left in her cookie jar. Price, $113. Cardinelli often strings her pieces with spacer beads, but I prefer the simplicity of knots. 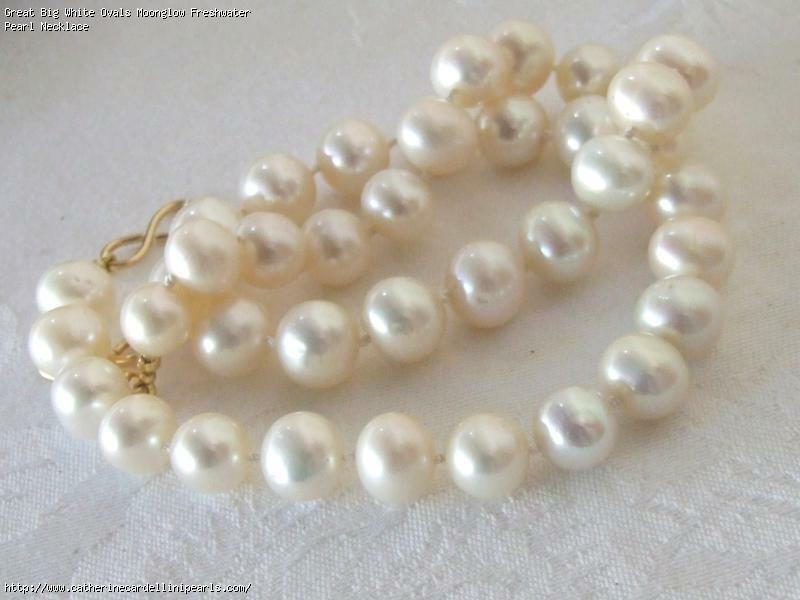 A triple strand (17, 18 and 19 inches) is pearl plentitude, if you can take the weight. 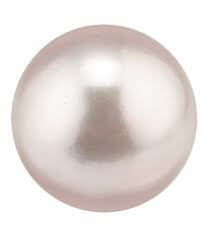 R.'s budget permits this freshwater triple of grade AA 8.5-9.5mms, $750 from Pearl Paradise. A classic statement piece for work or dressy casual– and at 60, a triple strand has the grandeur she would carry gracefully. 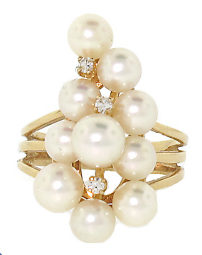 R. adores diamonds, so I want her to see this cultured pearl and diamond ring from Beladora II, price, $695. It's glam and femmy, like her. And sometimes the best necklace is a ring! An utterly simple and smart piece, this South Sea 12mm pearl pendant on a white (shown) or yellow gold chain will layer or look chic alone. Price, $829 from Pearls of Joy. Smaller sizes are available but for your 60th, splash out on the big pearl. If R. admires the Tin Cup style, she could wear 12-14mm South Seas (AA grade) in a more casual (and affordable) way. This necklace is from The Pearl Outlet, and just fits under the budget at $995. I especially like that it's a generous seven (not five) pearls, uses heavy gold chain and is 18 inches. White pearls have their own allure; look for character instead of stiff perfection. Allow the tiniest dent or ripple that shows these gems are organic; reject discoloured patches, rings or uneven nacre. Dear R., whatever your choice, the birthday pearls will whisper that you are a treasure, along with your pearls. Fabulous choices, Duchesse! The strand with the "coin" pearls is really unique. Oh what lovely selections you have found. I too find the strand with the round pearls and coins lovely. R is gorgeous! I can hardly believe that she is 60, she looks so young! 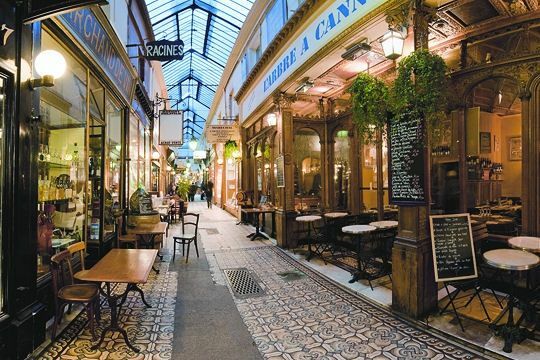 How lucky for her that you are helping her find new pearls...I too have been considering the purchase of large pearl necklace...the one I have my eye on is a considerable sum...and I have not saved enough to buy it...yet! These are all great choices. I agree with the consensus, the long strand with the "coin" pearls is fabulous. I love the fact that it is versatile. Your friend is stunning at 60! 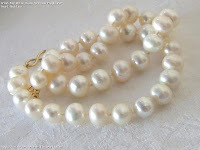 As for the pearls, I was sure I liked the 19-inch strand of large freshwaters best until I saw that ring, and then I spotted the large South Sea pearl as a simple pendant . . . must one choose?! Pseu: As you will see, many agree! hostess: She is often mistaken for a TV personality. What kind of pearls are you saving for? Belle: I agree; as of today, she is leaning toward the SS tin cup but has not ordered yet. materfamilias: That is the joy of pearl collecting, just choose choose one thing at a time. Beautiful. I love your pearl posts. And I'm jumping on board with everyone on the freshwater/coin necklace. Probably because I'm already up to my eyeballs in regular pearls:). What about something from Kojima? On your recommendation, I purchased from them, and I am LOVING my unique, one-of-a-kind selection!! 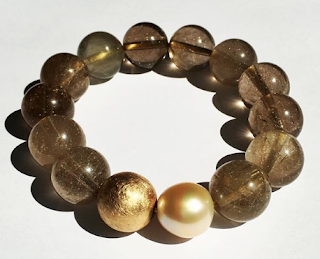 spacegeek: Kojima Company are to a specific taste, hip, non-classic pearls. That does not mean classic whites are stodgy, they are just in a different register. She's not the Kojima type... but we are! You are a good friend, Duchesse. Thanks for sharing your finds with us. Frugal: We go back 30 years! And pearls-as you know-are a passion. That single-pearl pendant says "Rubi" all over. I'm going to let Mr. Pants know that he's got 12 years to save up! Hope your friend R. gets something truly wonderful to celebrate -- and a lot of joy besides -- in her new decade.